You tried to explain to her that you just wanted to feel like one of those guys in movies. James Bond. Everyone in Kingsmen. And especially Hugh Hefner. (But you don’t mention that last one as an influence, she might take it the wrong way…like you want to have a mansion full of Bunnies.) You just want to feel the luxury that comes with wearing a smoking jacket, and holding a classic smoking pipe. 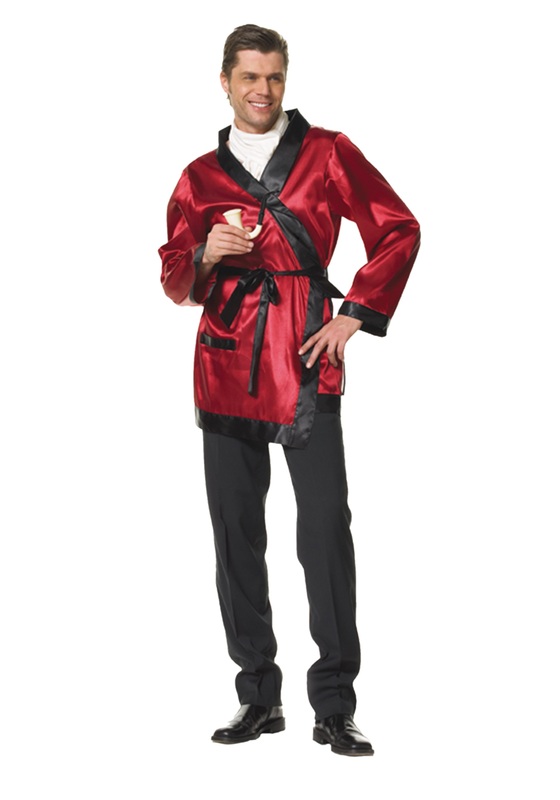 She may just be convinced of your cool-ness when you show her how awesome you look in this Decadent Bachelor Costume, which contains a MENS silk robe (maybe call it a smoking jacket though), and pipe, that you hold and do not smoke. She might have a little more respect for the smoking jacket when it isn’t her pink silk robe, and doesn’t actually smell like old tobacco. Who knows, she might even let you light up once in a while…in the garage that is. Seriously, just don't mention those good-looking bunnies. . .